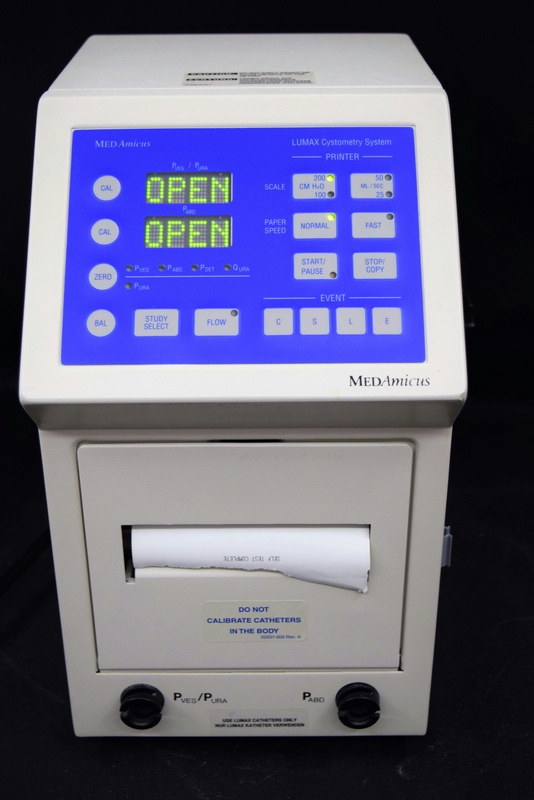 MedAmicus 4114UF Lumax Cystometry System Urology Catheter Calibration Instrument . New Life Scientific, Inc. This product was powered on, the individual keys were pressed, and the system's printer produced a print out, indicating the self-tests were passed. The catheter calibration instrument was not tested for any other operations and the digital read out continued to count down. The staff was unfamiliar and unable to test any programs or validate that the numbers were correct. The device has obvious signs of wear and age, but its cosmetic blemishes have not affected the functionality. This equipment has some minor scuffs, but powers on, after 6 minutes both screens shows Open.